If you're going to Pavilion, KL you'll see a lot of stylo-stylo people there. Wahh~ I can't take my eyes of them styling their outfit and look fashionable. This is the week where, everyone dress up more than usual as to celebrate Fashion. I know that some of you might find this not interesting but for me and other Fashion addict out there, this is AWESOME beybehhhh! Hehehe.. I bet most of you are wondering what is #IAMHOMEGROWN ?? This is actually a campaign that allow Malaysian to get the recognition they deserve. This campaign is made by FashionValet where they gather all talent and creativity person at the forefront. Not only focusing for celebrity, they also have entrepreneur, fashion designer, photographer, chef, singer, actor, politician and more. 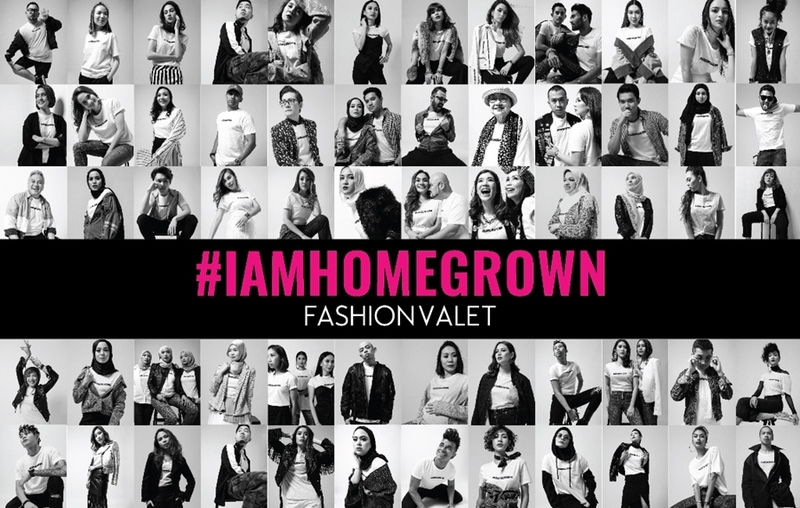 Inspire from all talents, FashionValet come up with a collection of clothes that shout #IAMHOMEGROWN. Basically this clothes under FVbasic brand that available in FashionValet. This collection aims to inspire Malaysians to showcase their homegrown pride. It is like I'm proud to be Malaysian. We're ready for the Fashion Show. With one of the talent for the #IAMHOMEGROWN, Deborah Henry. Now, do you get the idea of #IAMHOMEGROWN ? Wait for my "What I Wear" post very soon!